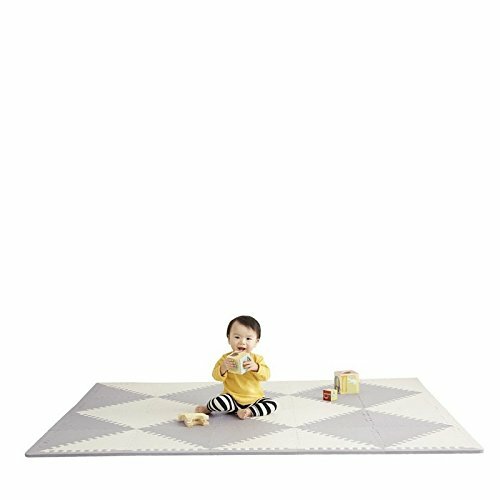 Oversize foam floor tiles for a large play mat space, perfect for tummy-time to crawling to first steps and beyond! Comfort design playmat to complement your home's décor and waterproof for stress-free maintenance. Simply wipe clean with baby wipes.